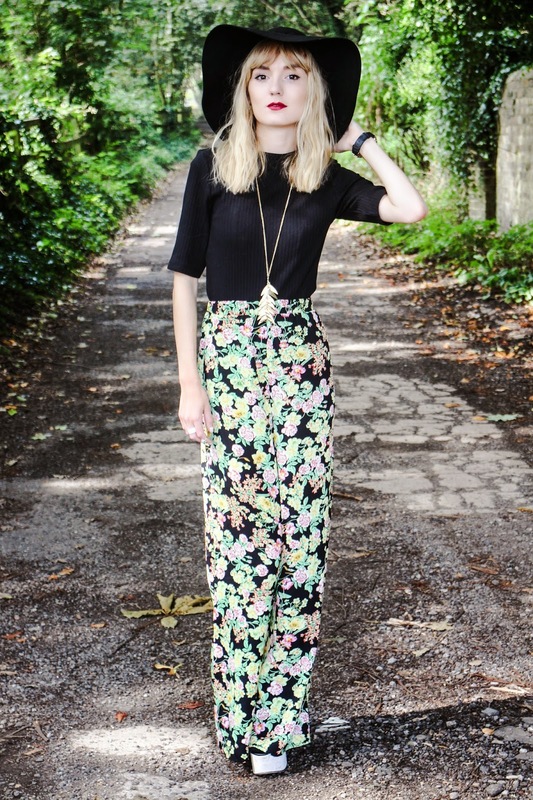 The shops and websites are teaming with wide leg trousers at the moment and I personally love them. 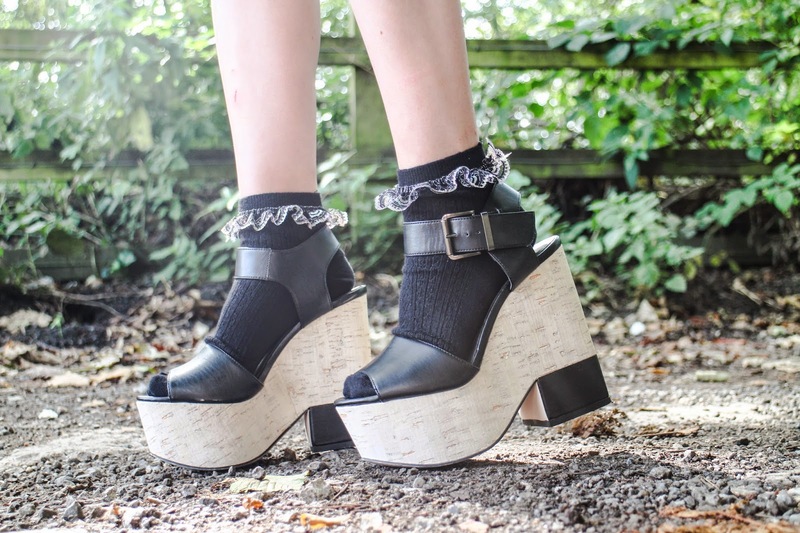 However as I have quite a small frame and I'm not the tallest person in the world (5"4) I wasn't sure if I could pull them off but I think teamed with the wedges (and socks of course! It is starting to feel a bit nippy!!) I just about manage it (??) Karl actually treated me to this floral pair from Missguided last week; he's a good'n isn't he! p.s. I apologize if you're sick of seeing this hat - it seems to be glued to my head lately! Gorgeous trousers! I feel like they're perfect for this time of year when it's getting colder but I'm not quite ready to say goodbye to my summery wardrobe yet! I love the floral print! I think you definitely managed it - they look fab on you. Very cute outfit. Love the trousers on you. wow yet another gorgeous outfit, you never fail to impress me! Your legs looks sooo long with those trousers! Those trousers are lovely! I'm really small (5'1", wahh) so I don't think I'd pull them off sadly :( everything's always too long! Your legs look like they go on forever in those trousers! Love the print. Love the look. It truly transfers your style and looks amazing on you. Such a comfy yet stylish outfit. Love it! 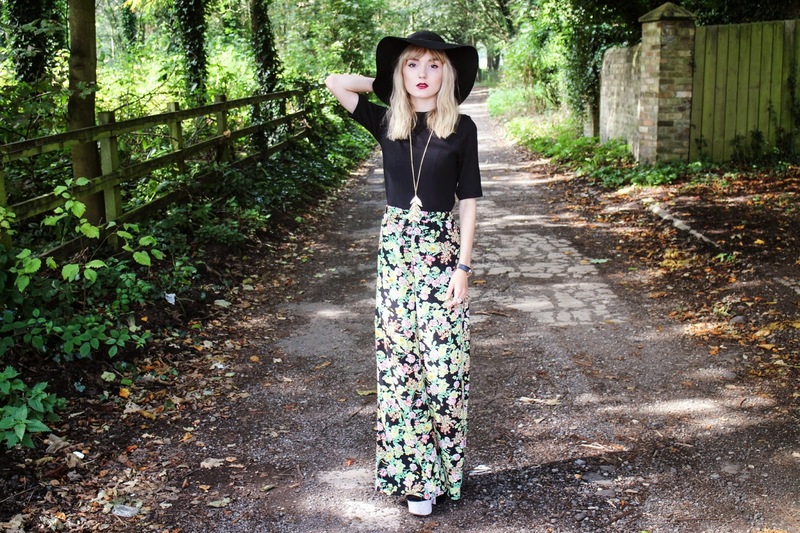 Love these printed trousers they look lovely on you ! You look so pretty, I'm so jealous! You really do pull off them trousers though! Love your top! The colour quality of your photos is amazing too, what do you use to edit your pictures? You look so chic. I love everything about this outfit! LOVE the whole look but the hat is especially amazing and your socks are super cute! Beautiful outfit, I love the cute socks and sandals.